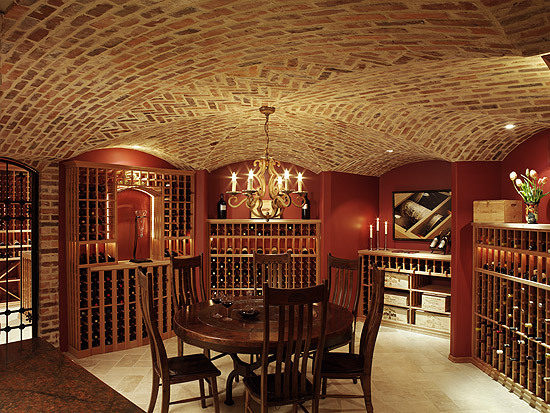 In case you haven’t noticed, there has been a lot of activity in my wine cellar. We’ve seen a number of wines depart, but many have entered the cellar in the past week. While many more wines will enter my wine cellar after Spring Barrel weekend, let me just tell you about my latest wine acquisitions for this week. “The deep, shiny cherry hue and smooth, rich spicy nose combine to put you in a good mood before the wine even hits your tongue. You may be wondering why I decided on these 4 bottles. With only $75 to work with, I considered a few factors. The first being how much bang could I get for my buck. I could have easily just picked a bunch of wines under $10 or the $10 – $15 range. However, I realized right away that this would’ve been a huge mistake. The problem with many of the wines in Barclay’s Wine selection is they aren’t very well-known on the lower end of the scale. So if no one in the vast Cellar Tracker community owned any bottles, chances are they wouldn’t be worth the investment. The next thing I considered was what the Cellar Tracker community was saying about the wines that were known to the community. I found a lot of wines were rated poorly to average. Wine ratings are highly subjective, as we all know. However, when you see multiple vintages from a winery rated in the 60 – 79 range, you can determine that it won’t be worth drinking. So, rather than take a huge risk, I stuck to wines that had at least an 84 or higher rating. Combining those two factors, I came up with these four wines. After trying these wines, I was quick to realize that these should be enjoyed with food. Out these wines, I’m most curious about the Mara. It tastes great now, but I think it will get even better with age. As you can see, helping out your favorite wineries can be quite rewarding. However, I think the bigger reward is that you’re helping out friends in the community who truly appreciate it. I would like to thank Micole Miller from Furion Cellars for dropping off the wine. I’ll be sure to visit the tasting room soon! As you can see, I’ve had a busy first week of April in the wine cellar. Coming up this week: Spring Barrel Weekend!